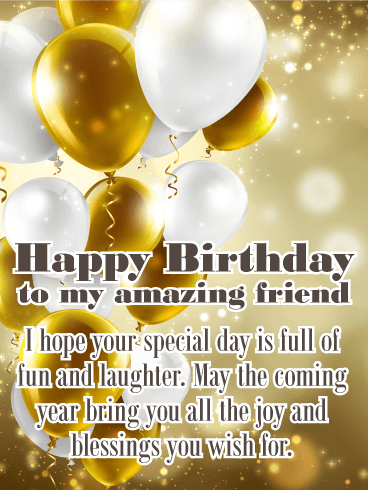 Happy Birthday to my amazing friend - I hope your special day is full of fun and laughter. 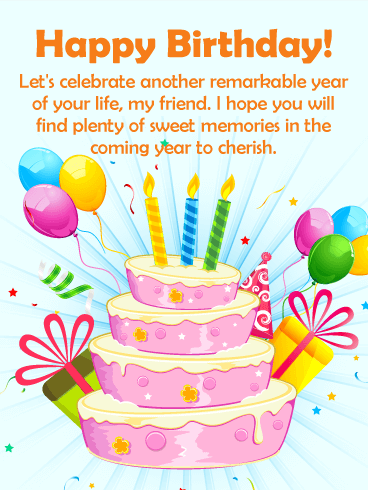 May the coming year bring you all the joy and blessings you wish for. 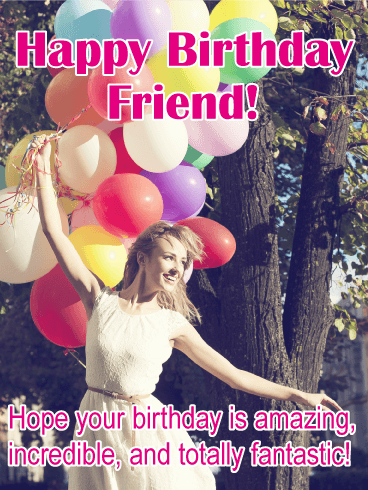 Send some happy birthday balloons up, up, and away to your friend! 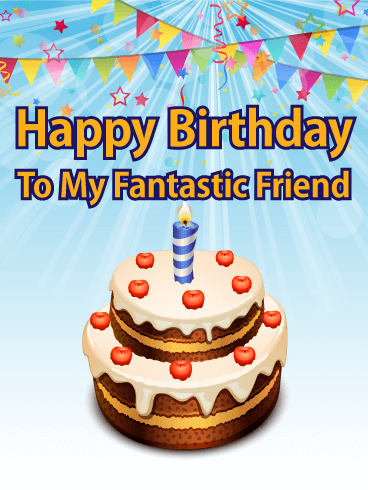 This fresh and fun birthday wish card is easy to send. 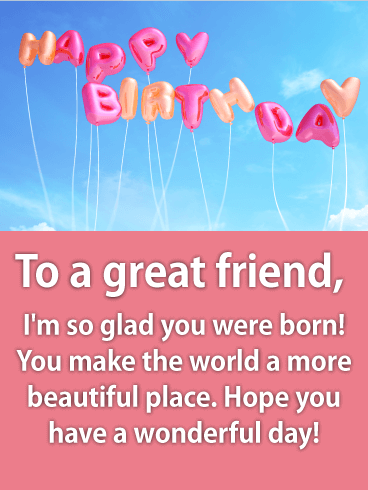 Once upon a time, your friend was born! And we know you're so glad about it, because life is just a lot more beautiful with them around. 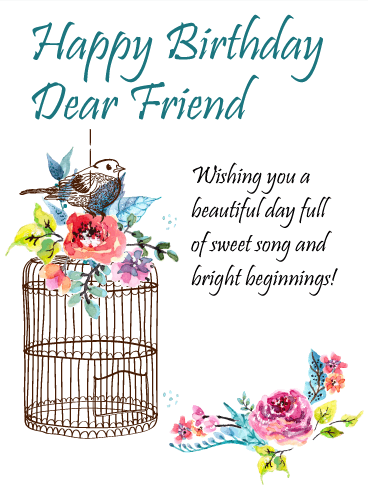 Let them know how great you think they are with this wonderful and sweet birthday card. Got a friend who's just plain silly? 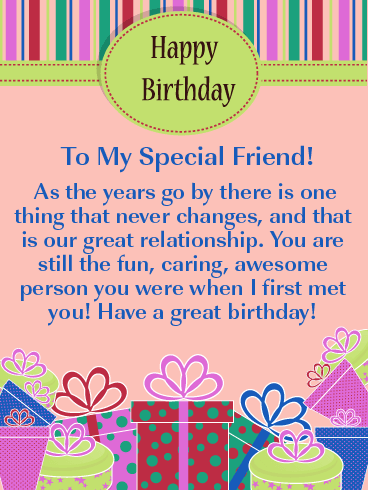 This card is so ridiculous it just might be true! 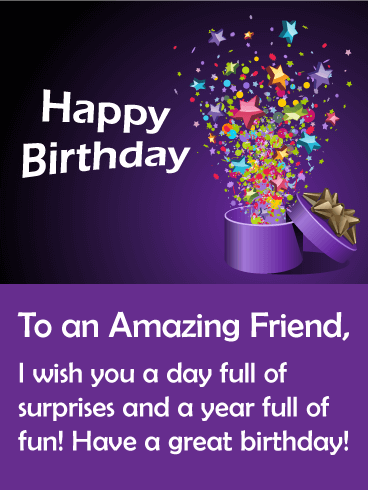 Wish happy birthday to a good friend with a funny greeting card. This turtle has a sly look in his eye and more than a few tricks up his sleeve, I mean, shell! 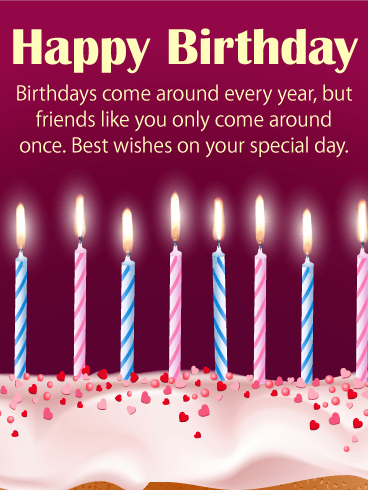 Send a birthday card today and add some fun to your friend's birthday celebration. 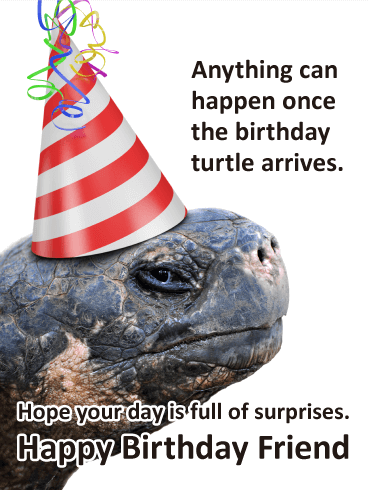 Will amazing stuff really happen once the birthday turtle appears? We like to think so. Lookin' fine all the time! 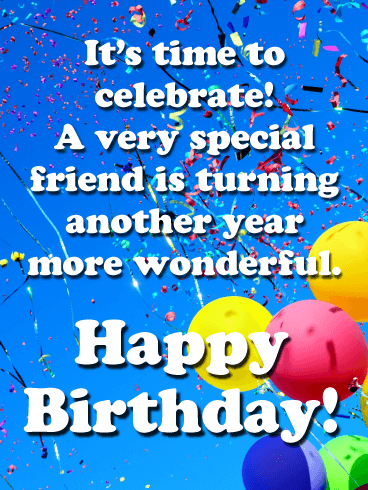 Your friend might be sad they're getting older, but they needn't be! They still got it and they're rockin' it. 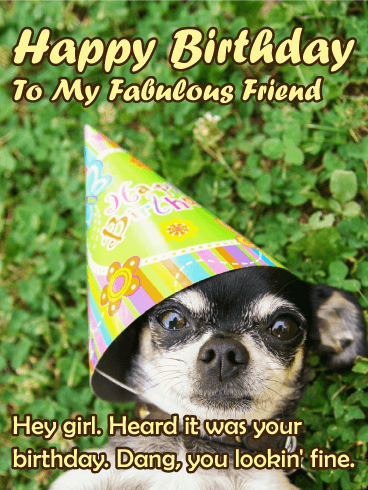 Let her know how fabulous you think she is with this funny birthday Chihuahua greeting card. 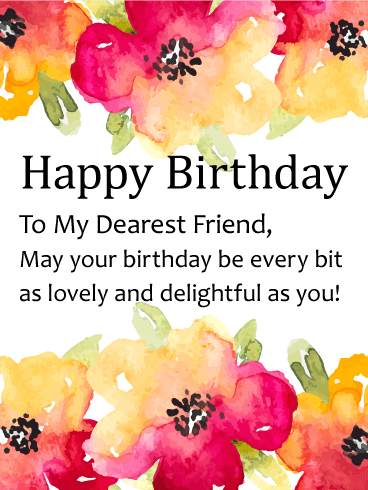 He's pretty cute and his solid affirmation might be just what your bestie needs to hear on her birthday.